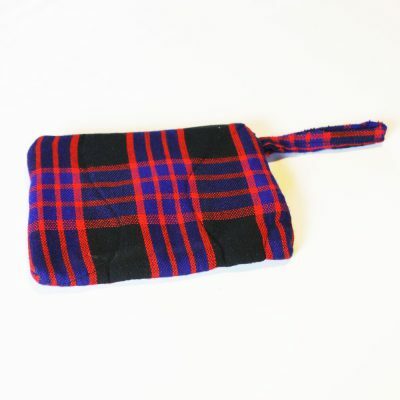 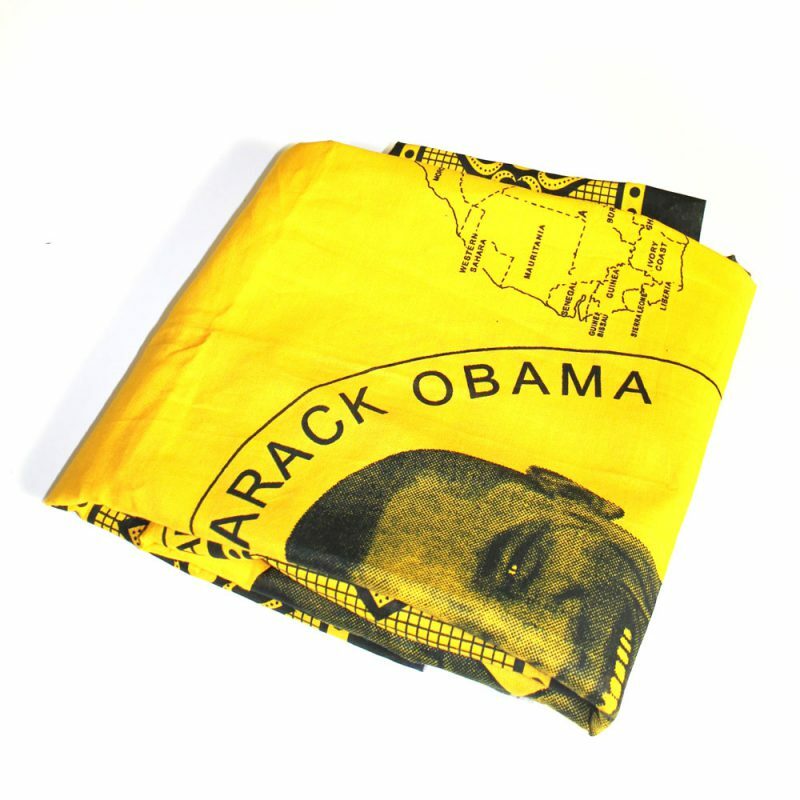 Beautiful Yellow Barack Obama Kanga. 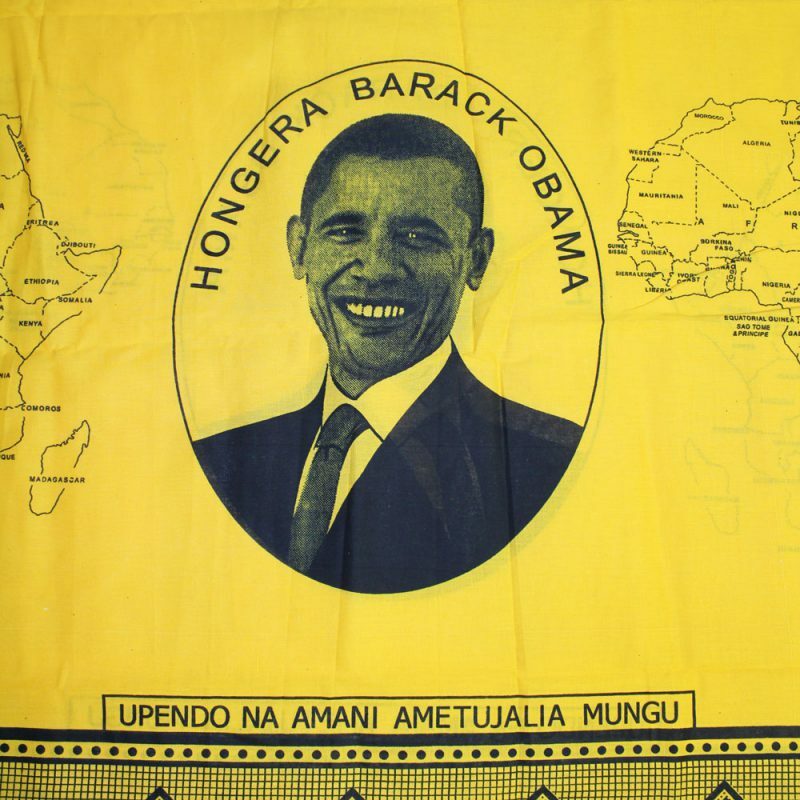 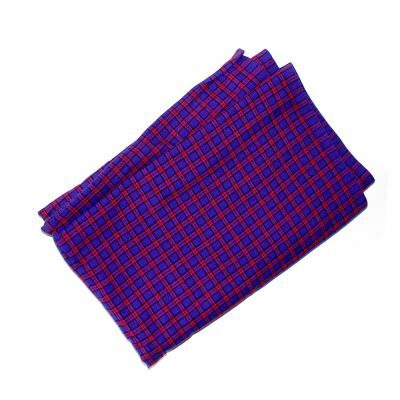 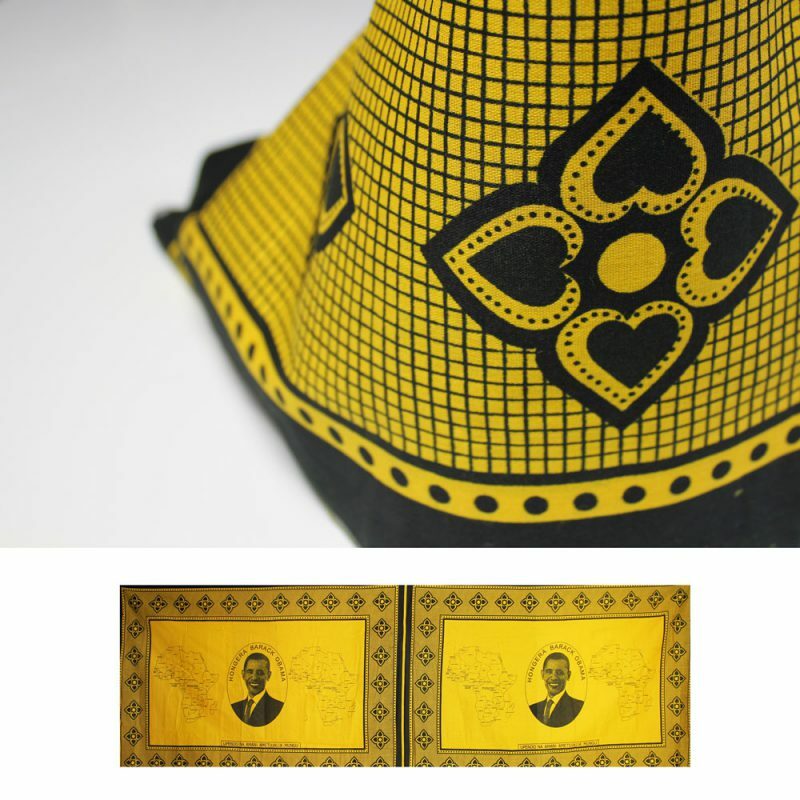 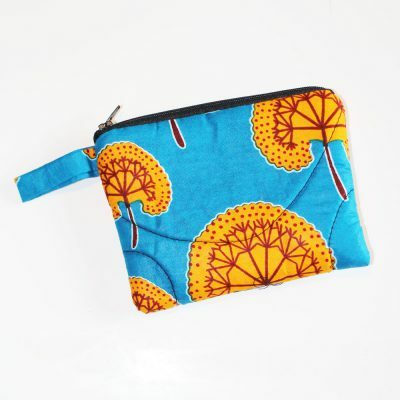 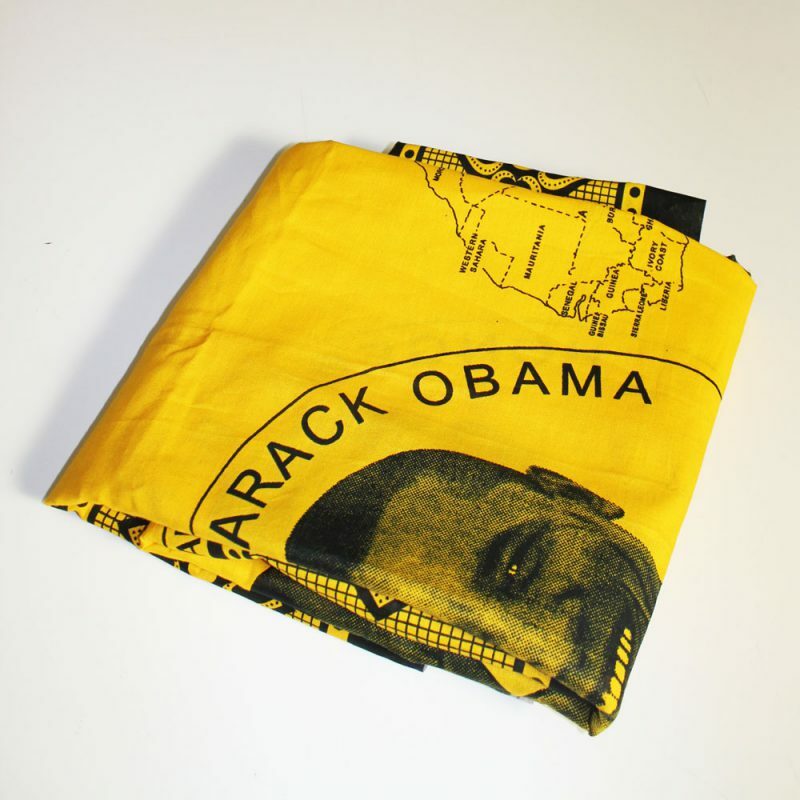 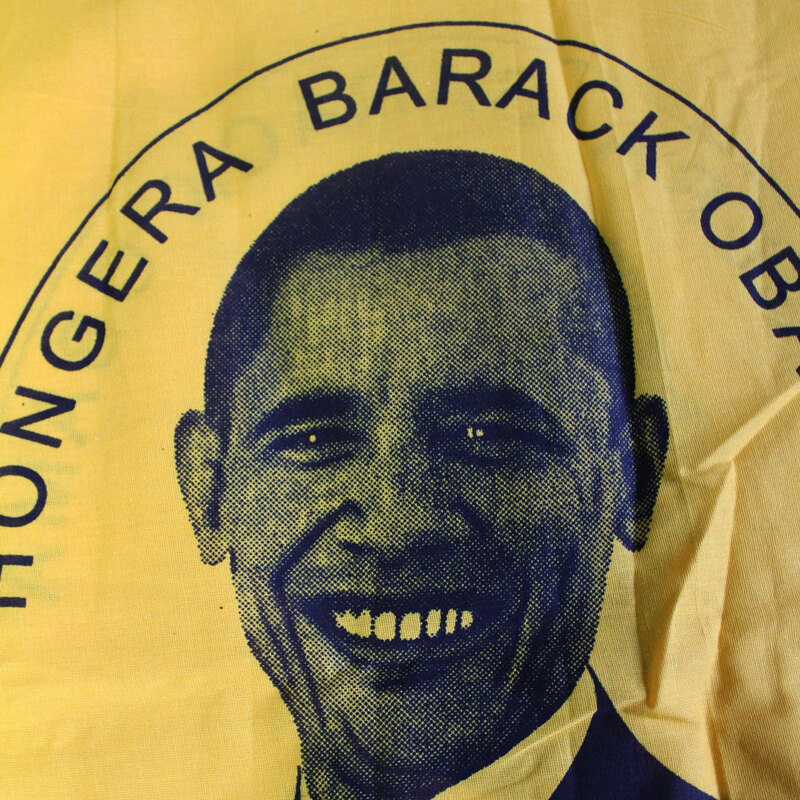 Yellow factory print textile featuring a portrait of Barack Obama with the words “HONGERA BARACK OBAMA” (Congratulations Barack Obama). 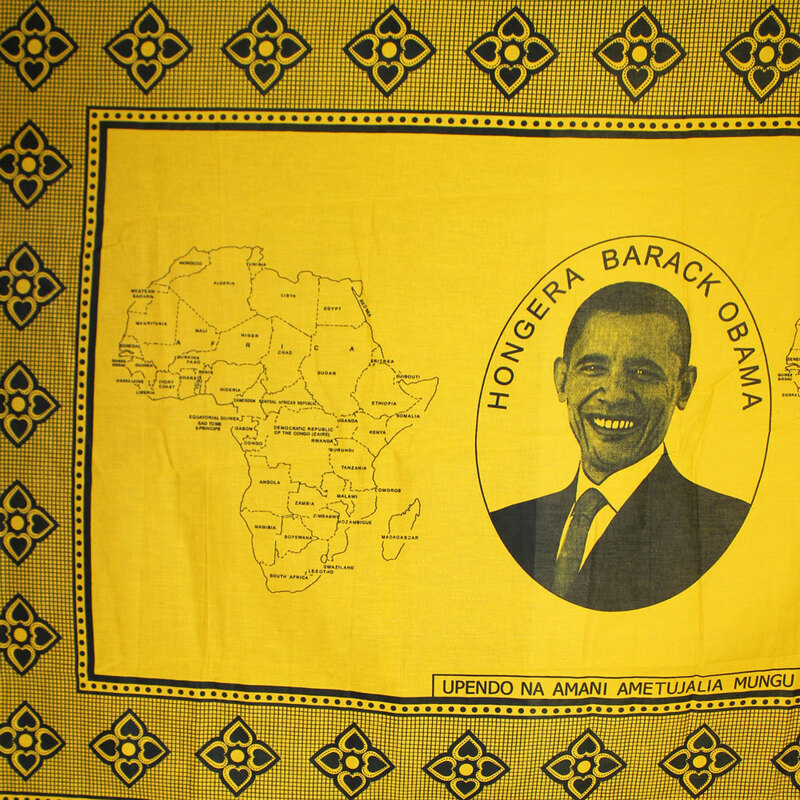 His portrait is flanked by two maps of Africa.